Good afternoon! I hope you are all having a lovely Tuesday. Today is a bit of a disappointing day but to get what I want, I decided to put it on my nails. You may be wondering why I’m disappointed? Well after almost of a whole week of talking about getting snow here in Alabama, it was a total bust. Last night they were calling for up to 3 inches in my area and after going to be early so I could get up at 2 AM to watch the snow roll in….by 7 AM we had nothing but rain! Blah! Now I know some of you may hate snow but as a southern girl, I have not been burned by it yet. Here everything shuts down, gets incredible quiet and super peaceful. Walking around in all it’s beauty, finding animal prints in the snow, feeling the cool air, and the peacefulness is all things I love about a snow day here. But once again, it was a total bust here. Now we just get temps in the 20’s and nothing to show for it. Blah! 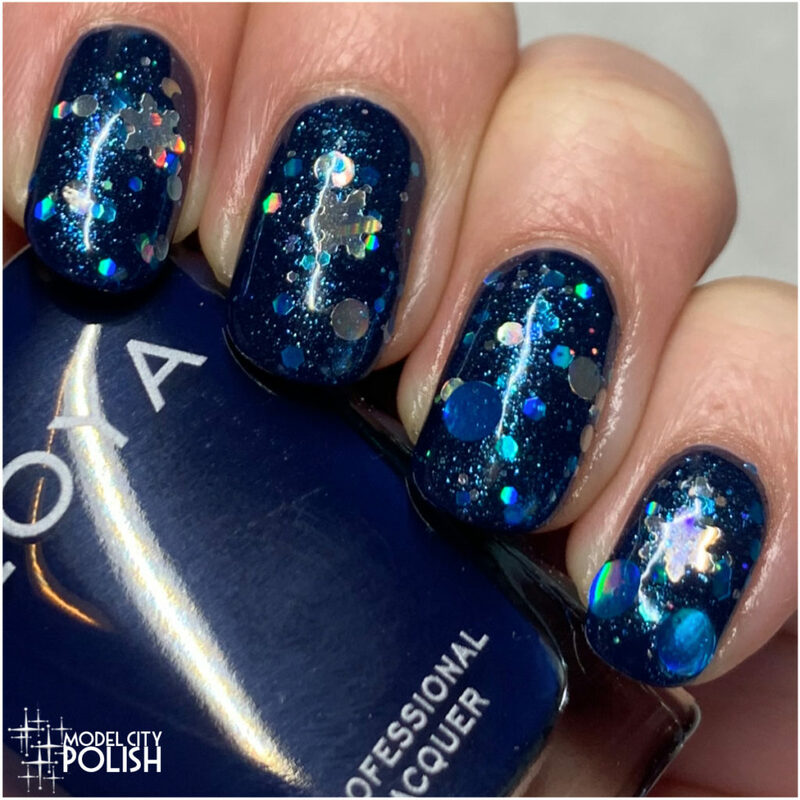 Well to get my snow I decided to go to my polish collection. At first, I was going to go with some stamping but as I was going through my stash, I came across a much-loved oldie. 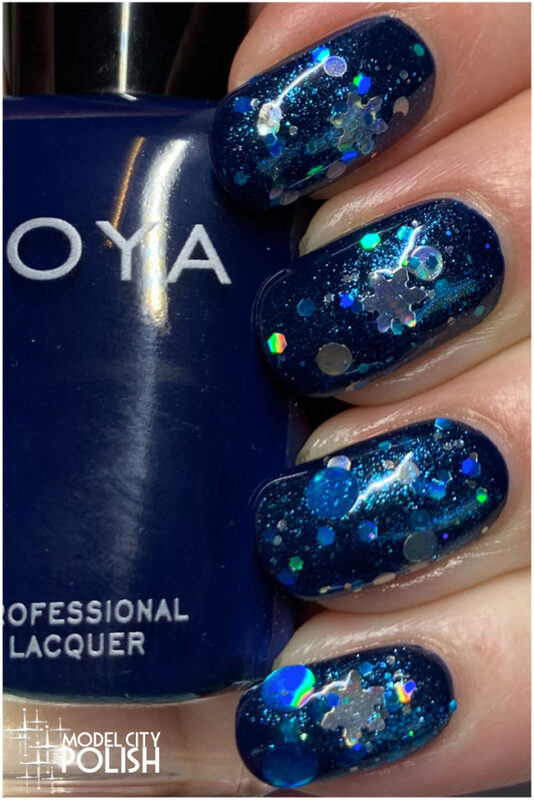 For my snow day bust mani I started off with two thin coats of Ryan by Zoya and then layered one coat of Oblizzartated by Chaos & Crocodiles. 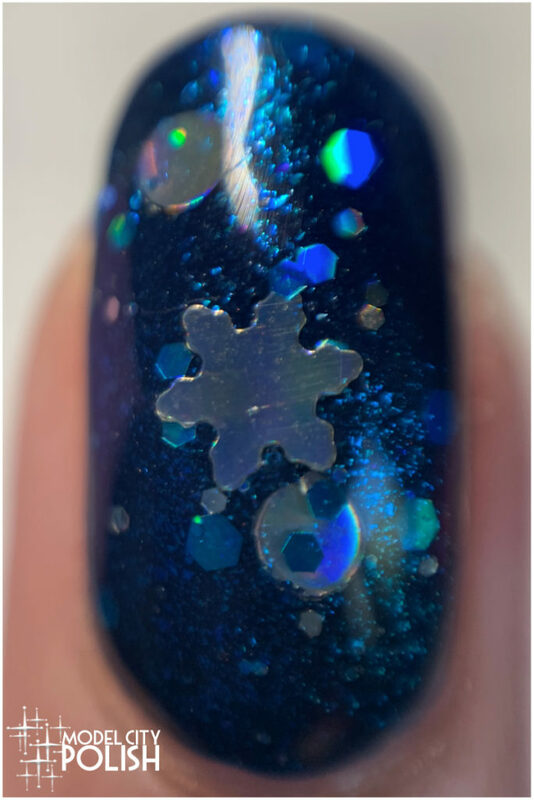 Everything is sealed with three coats of Marvel Liquid Top Coat by SuperChic Lacquer to smooth out all the glitter. Your snow day manicure is as close as I like to get to snow. Right now there are 6 inches on my porch and lawn with below zero temps closing in. But the pretty blue polish would help soothe that. Your snow day mani is perfect. It looks like just like we get the big fluffy flakes at night here in Minnesota. We actually don’t have much snow on the ground here but the temps have been down right dreadful. -24 with a real feel of -45 has our entire state shutdown for the day and schools have been closed all week so far. I’d much rather have a ton of snow than deal with these polar vortex temps. I grew up with snow and LOVE the no snow here in the South! Ha! Granted I will say, if it did snow it would be quite historical! This look is so rich and pretty! My work was actually cancelled for two days because of the cold, and in 18 years of working here that has never happened before! 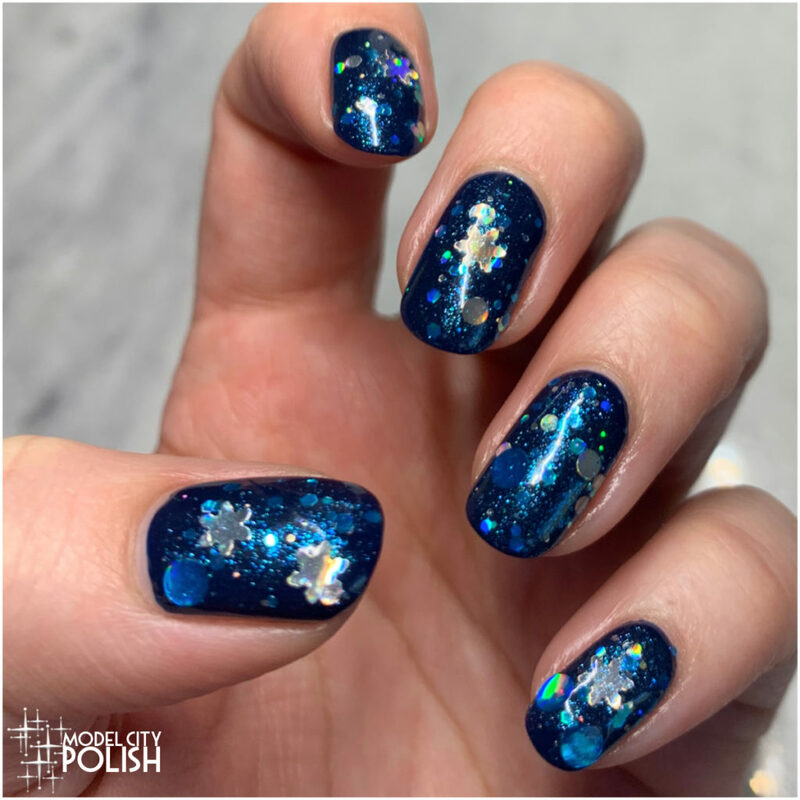 Love your snow mani! We had squalls and white outs today. The worst. And no fun snow to play with after. I love this manicure! When I was in Maine over Thanksgiving, we got like 9″ of snow and it made me so happy. I am all about getting snowed in and just watching tv or movies while drinking hot tea. I’m still waiting for one good snowstorm this year, but have yet to see it. I like to have one good snow day just so I can look out the window and see something other than brown grass and dead trees lol! But I love how this mani turned out. Those snowflake glitters are so cute. Looks like an actual blizzard!